I am a very new user of Pinterest. I have to admit, I never really understood the point. Sure, I like to look at photos of cute baby animals and tasty cakes as much as the next person, but I just didn’t get it. With all the things there are already to keep up with, it just seemed that it would be adding one more to the list, and I wasn’t sure what it would add to my life. Until I started sewing. Although even then it took me a while. At some point, when I was first trying to decide on a pattern for my dressmaking course, I came across a blog post of a simplicity dress that I really liked the look of. For some reason or another, I decided not to buy it at the time (I was probably trying to restrain myself and only buy the one pattern I was going to make on the course. But a few weeks later, when was making good progress on my dress, and starting to think about what else I might like to make, I decided that I really did want that pattern. Except now, I couldn’t remember the pattern number. I usually email myself useful links that I find online. So I checked my email inbox. I looked at every link for a Simplicity pattern that I’d sent myself. Twice. No joy. I check my inbox on my work email, I checked my sent items, still nothing. At this point I was surprised, I have a tendency of emailing myself anything that I think is remotely useful or interesting. Half the time I never look at the links again. No problem I thought, I’ll just look for it online. But with only the knowledge that it was a Simplicity dress pattern, this was harder than I thought. I knew I’d seen it on a blog. I couldn’t rememebr the name of the blog. I remembered various comments about the dress from the blog post, like the fact that the pattern apparantly included a lot of ease, and that the person who’d made it was going to wear it to work. Surprisingly, searching for ‘Simplicity dress pattern lots of ease work dress’ did not produce any results (or rather, it produced many results, but not the one I wanted!). By this time, finding this pattern had become a bit all consuming. The more you can’t have something, the more you want it etc. Having already spent a bit of time trying to find it online, I spent my entire lunch hour at work on the mission. I looked on the Simplicity website, but couldn’t find it there. 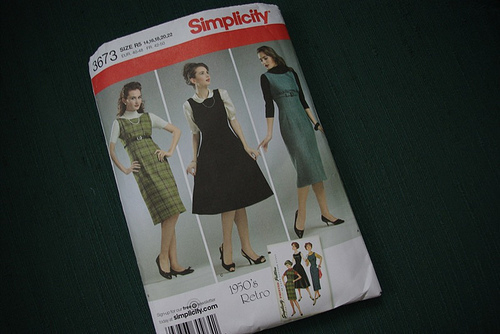 I looked at the search results for various simplicity patterns that came up as suggested search terms, in the hope that it would suggest ones I’d searched before. Just when I had pretty much given up any hope of ever finding out what this pattern was, I saw it! It was there, in the image search results…of a completely different pattern number! I have no idea why, but I’m so glad it was. The pattern was Simplicity 3673, and the blog I found it on was Molly’s sewing and garage sale adventures. Even after working out which pattern it was, I had a hell of a time trying to find it anywhere! I eventually managed to track down a copy on eBay. Incidentally, if you like this pattern, it’s one that Sewing World Magazine have in their pattern special this issues, for the princely sum of £2.95. 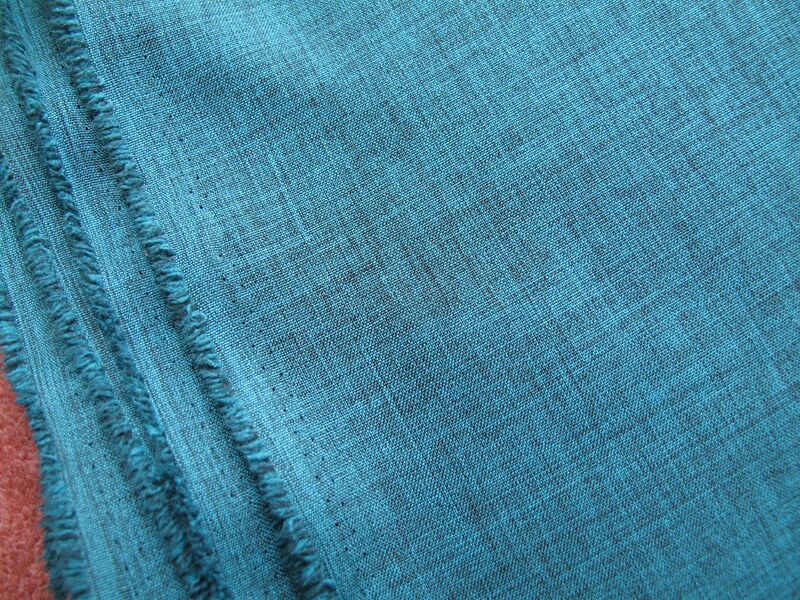 I’ve got some lovely teal suiting type material to make view B up in – I didn’t really think it was suitable for the summer, but now we’re moving into winter, I’d better get a move on! I’ve also created myself another board, with sewing tips and tutorials on when I’ve had to look things up, and have thought of a few other uses. Instead of emailing myself and Clare links to about 15 different blogs about Walthamstow market before our trip there, I should have just created a board for that. Something to remember for next time. 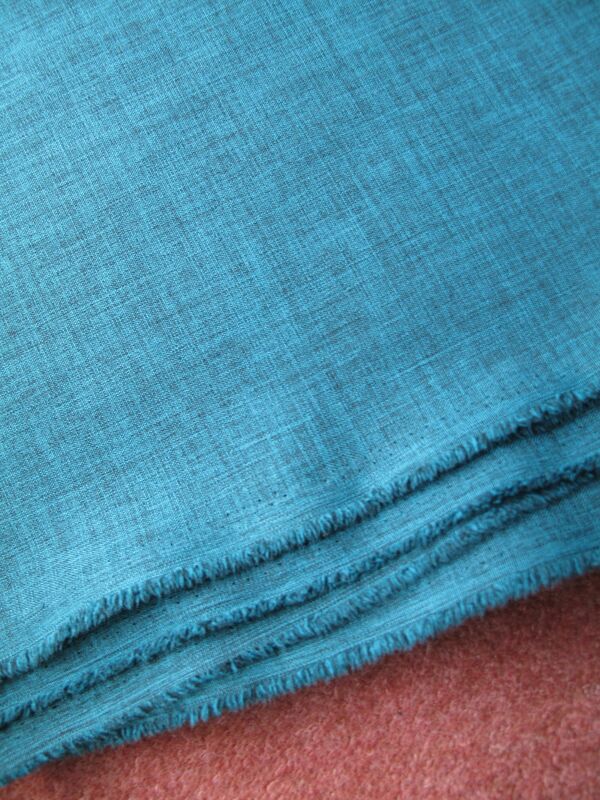 Similarly for advice and tips on particular patterns. I’m still not a massive user of Pinterest for browsing – although I would love to spend time looking at everyone else’s inspiration boards on Pinterest, I just don’t have time, what with keeping up with facebook, twitter, blog reading etc. But I find it a really good place to keep track of things. What do you use Pinterest for – sewing or otherwise? So, I finished my first dress, which was incredibly exciting, but now I’m suffering from a bit of post-project blues [edit: I started writing this post on Wednesday, when this was very much the case, but now I have decided on a new exciting project, the blues have abated :)]. It tends to happen – I get really caught up in the process of something, whether it be making something, or researching something to buy, and throw myself into completely, but then once the project is completed, or I’ve actually received the thing I bought, the excitement wears of. I guess it’s the thrill of the chase. And I’m feeling a bit like that now I’ve finished my dress. I went along to my sewing course On Tuesday (wearing the dress of course!) with a couple of things to work on. One of them was the Simplicity 2415 disaster top. I worked on that a bit, but I really think the fabric is a bit too stiff for the style of the top, and it wasn’t really working out. I’d also taken along a pattern which I’d cut out, with the plan of cutting out the fabric for it at class – there are big tables there which makes it so much easier than trying to do it on our little table at home. But I got my pattern out to cut it and realised I’d picked up the wrong envelope! I’d taken along the pattern for the dress I’d just made, not the one I wanted to start making :( booo! That kind of threw me a little bit, and I didn’t have anything else to get on with – for the first time, I found myself wishing for the end of the class, rather than being alarmed that it was going so quickly. So I thought I’d do something that I’d been meaning to do for a while, and compile a list of projects that I want to complete – to give me something to go to when I’ve finished one project and need something new to get started on, and also so I remember which fabrics I was going to use for each pattern. I’m sure I’ll add to this list (in fact, I know I will), I already have some other ideas that I want to put into action, but I decided to only try and list items for which I have both the pattern and the fabric already lined up. 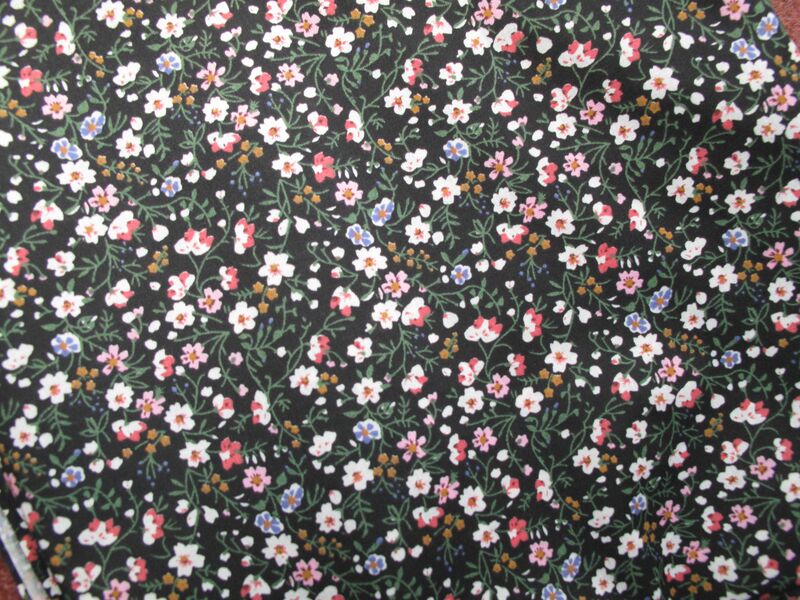 Simplicity 1913 (free with last month’s Sew magazine), with this flower print fabric from my freecycle stash. I’m thinking of a more casual version, similar to the one they had on the cover. 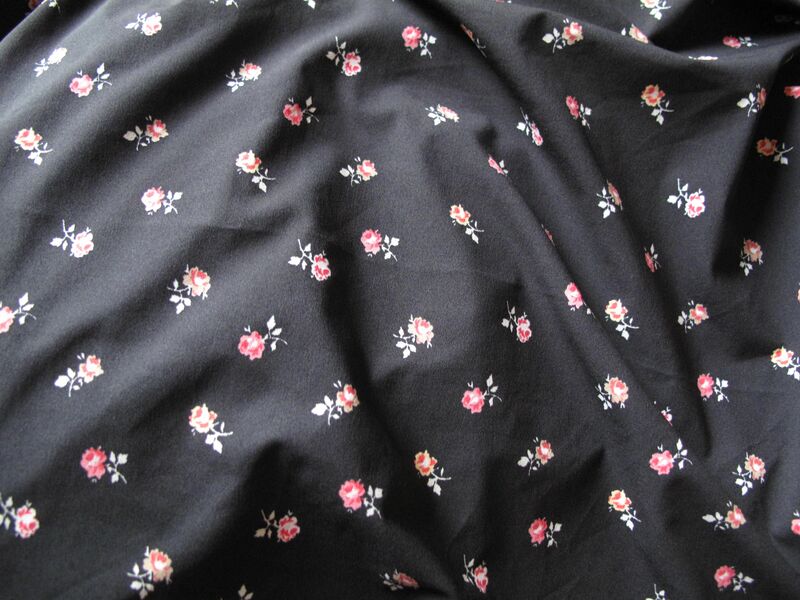 Simplicity 2444, inspired by Fiona’s lovely version, probably with this floral print from my Walthamstow haul. I’m really glad I came across hers because based on the pattern envelope, I probably wouldn’t have given the pattern a second glance. I saw a couple of versions of this (such as Lauren’s and Katie’s), and completely fell in love. The Bombshell swimsuit, by Heather Lou at Closet Case Files. Now, I have never had any desire to sew a swimsuit (I feel slightly odd saying that when I’ve always called it a swimming costume, but they sound like completely different things and let’s face it, swimsuit just sounds classier! Americanisms are slowly creeping into my language…)before, I’ve only ever sewn one item of clothing, and I rarely go swimming. But then yesterday, I booked a beach holiday! First beach holiday in a good few years (and Marcus’ first ever, he doesn’t really understand the concept) and I decided that if I was ever going to sew this swimsuit, now is the time! I have 15 days before I go on holiday, I have no swimsuit fabric (trip to Fabricland in Reading in order on Saturday I think! ), and I have no idea whether it is even vaguely achievable for me, but I like a challenge, particularly a challenge with a deadline! It also helps that Heather Lou is doing a brilliant Sewalong for the Bombshell, and I may end up being a week behind, but, reading through her posts so far, the instructions are so clear that it’s really encouraged me to give it a go! I spent last night cutting and piecing together all the pattern sheets (harder than it should be I’m sure! ), tomorrow I will go on a swimsuit fabric hunt (I’m thinking maybe some large red polka dot), and then we shall see what happens!